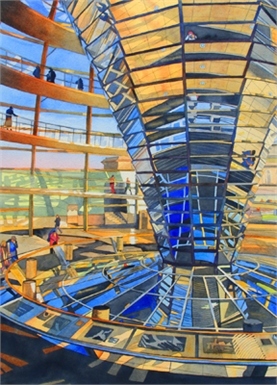 Cole’s work has been exhibited in shows across the United States. His most recent solo exhibit – “Shadow Journeys” – was held in Munich, Germany, at the Werkstatt Galerie. 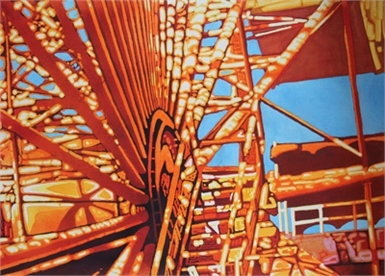 His painting “Spreepark I” was exhibited at the Florida Watercolor Society 2015 National Exhibition. In the summer of 2016,"Waiting for God" will be shown at the Transparent Watercolor Society of America international exhibition and "Riffelriss" will be shown at the Southern Watercolor exhibition. Cole’s paintings have made their way into collections around the world, including in Australia, Asia, Europe, and America. He was featured in the December 2014 issue of Watercolor Artist Magazine’s “Ones to Watch” as an emerging artist in the watercolor world.